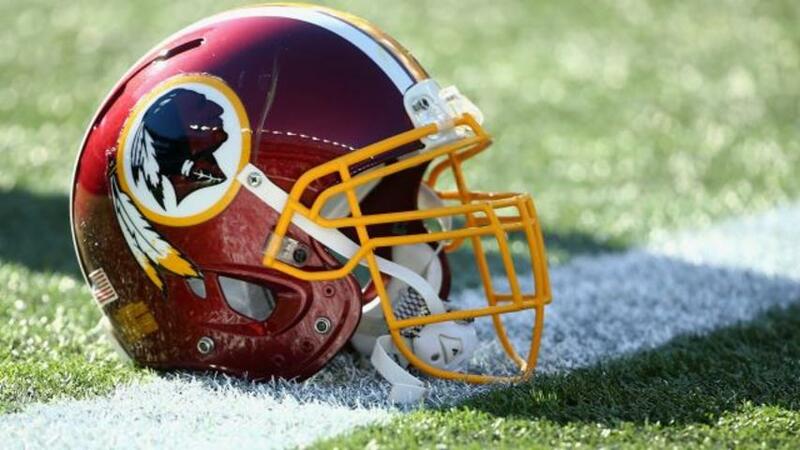 Do the Washington Redskins have an offensive team name? Well, it depends on whom you ask. According to a new Washington Post poll, nine out of 10 Native Americans said they aren't offended by it. The poll surveyed 504 Native American adults across every state. It has a 5.5 percent margin of error. The results are good for "Washington's football team" and owner Dan Snyder, who's been adamant about his position on any potential name change. Snyder released a statement in response to the poll, saying, "The Washington Redskins team, our fans and community have always believed our name represents honor, respect and pride. Today's Washington Post polling shows Native Americans agree." Still, there seems to be a lot of people out there who are against the name. A PSA ad against the name says: "Native Americans call themselves a lot of things. The one thing they don't ..."
The team name took a big hit two years ago when the United States Patent and Trademark Office canceled the team's trademark on the name, calling it "disparaging to Native Americans." That meant just about anyone could use the name and logo however they wanted. "You have no right to use our name to get attention," an animated Dan Snyder said on "South Park." "Uh, the trademark got pulled, so I'm totally free to use the name actually," Cartman said. "Look, don't you see when you call your organization the Washington Redskins, it's offensive to us?" Interestingly, The Washington Post's editorial board voted to stop using the team's name in late 2014. That board is different from the news-gathering operation, which still uses it. The Post says this recent poll yielded virtually the same results as another one in 2004 from a different organization. The NFL has declined to comment on the new poll.